The Jenny Brook Kids’ Program is directed by Aaron Foster. He is a graduate of the East Tennessee State University and now he teaches. 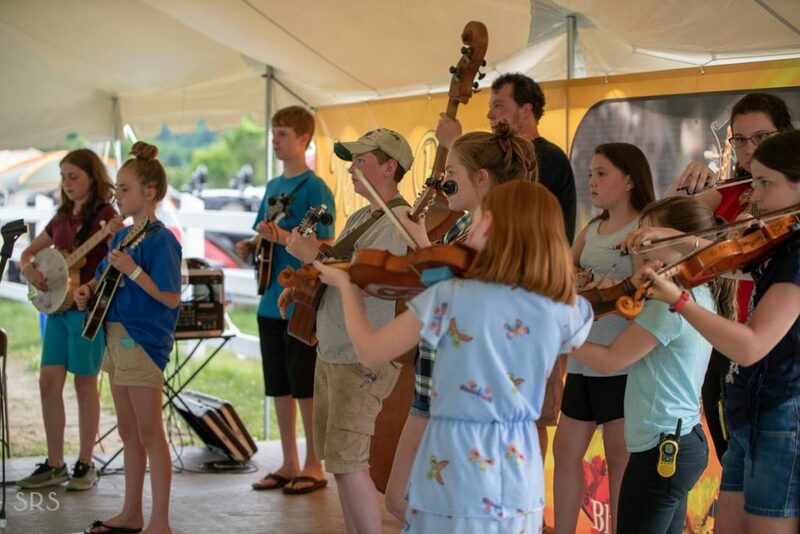 The Kids’ Academy Program is FREE for festival attendees and includes two days of rehearsals followed by a performance on the Main Stage on Sunday. All school-age children are invited to participate, regardless of their ability to play an instrument or sing. The only requirement is that they must be able to attend all rehearsals and the performance on Sunday. 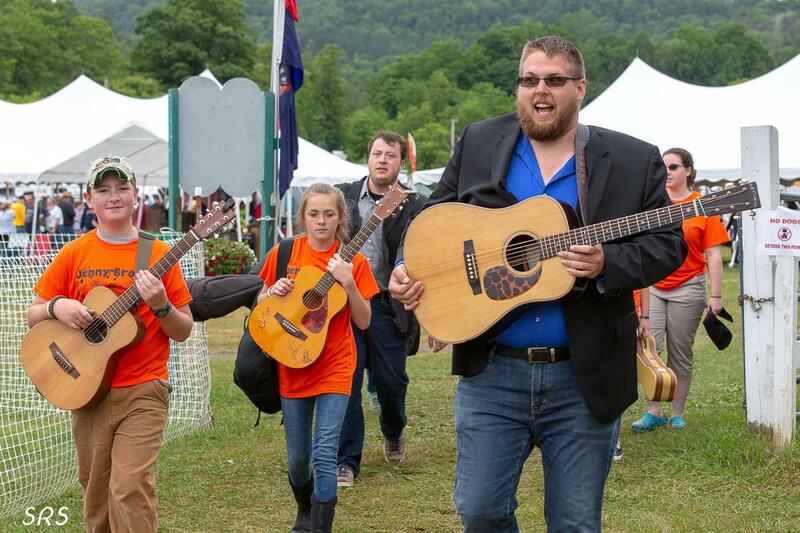 If your child will not be able to attend the Friday evening Meet and Greet session, please e-mail Aaron Foster at aaronfosterbluegrass@gmail.com by Sunday, June 23, 2019. Participation in the Kids Academy does not give family members free admission to the festival. Not sure if this activity is for you or your child? Attend Friday’s orientation in the Dodge Gilman Building where you can decide if you’d like to continue the program. Attendee must be present at all sessions to play on the Main Stage on Sunday! Pre-registration IS ENCOURAGED so each child has a T-Shirt! BLUEGRASS GREEN MOUNTAIN STYLE! 66 Days 7 Hours 50 Minutes 53 Seconds till the GATES OPEN!